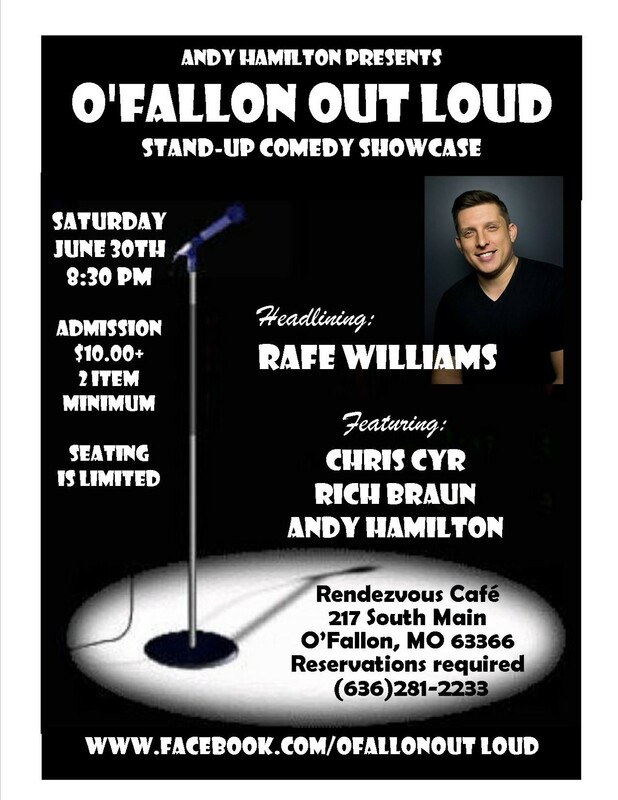 O'Fallon Out Loud returns Saturday, June 30th with the hilarious Rafe Williams headlining! 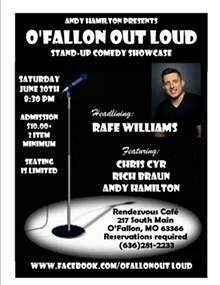 Joining Rafe will be Chris Cyr, Rich Braun & Andy Hamilton. Rafe Williams has been performing across the country for nearly a decade and has been described by his peers as both refreshing and artistically innovative. He recently won Helium Comedy Club’s first annual “Funniest Person in St. Louis” competition in 2016. He has opened for stars such as Dave Attell, Joey Diaz and most recently in New York for Colin Quinn! Seating is limited so please call Rendezvous Cafe for reservations at 636-281-2233.